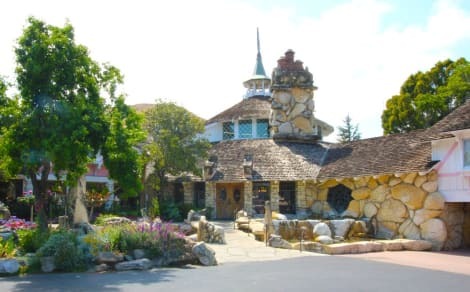 With a stay at Madonna Inn in San Luis Obispo, you'll be within a 10-minute drive of California Polytechnic State University and Avila Hot Springs. This spa hotel is 11.2 mi (18 km) from Pismo Beach Pier and 12.4 mi (19.9 km) from Morro Bay State Park. This charming hotel is situated in San Luis Obispo. 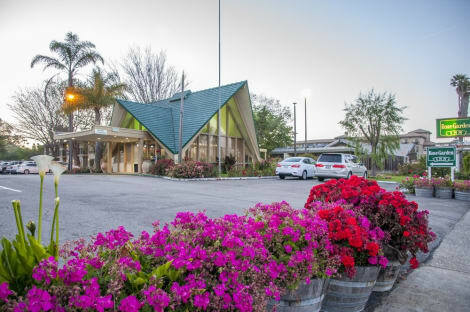 Villa Motel guarantees a quiet stay as it counts with just 14 rooms. This hotel does not accept pets. A complimentary continental breakfast is served daily from 7:30 AM to 10 AM. Take advantage of recreation opportunities including an outdoor pool and a spa tub. This hotel also features complimentary wireless Internet access, concierge services, and a picnic area. Medium size-modern lobby with leather couches. Make yourself at home in one of the 39 air-conditioned rooms featuring microwaves. Cable television is provided for your entertainment. Conveniences include desks and coffee/tea makers. Make yourself at home in one of the 70 air-conditioned rooms featuring refrigerators and microwaves. Your pillowtop bed comes with premium bedding. Flat-screen televisions with cable programming provide entertainment, while complimentary wireless Internet access keeps you connected. Bathrooms have complimentary toiletries and hair dryers. With a stay at San Luis Creek Lodge in San Luis Obispo, you'll be within a 10-minute drive of California Polytechnic State University and Avila Hot Springs. This bed & breakfast is 13.7 mi (22.1 km) from Pismo Beach Pier and 13.4 mi (21.5 km) from Morro Bay State Park. When you stay at Hampton Inn and Suites San Luis Obispo in San Luis Obispo, you'll be by the ocean, within a 15-minute drive of California Polytechnic State University and Pismo Beach Pier. This hotel is 5.3 mi (8.6 km) from Avila Hot Springs and 12.4 mi (20 km) from Morro Bay State Park. Featured amenities include wired Internet access (surcharge), a business center, and express check-out. A roundtrip airport shuttle is complimentary (available on request), and a train station pick-up service is also provided at no charge. lastminute.com has a fantastic range of hotels in San Luis Obispo, with everything from cheap hotels to luxurious five star accommodation available. We like to live up to our last minute name so remember you can book any one of our excellent San Luis Obispo hotels up until midnight and stay the same night.